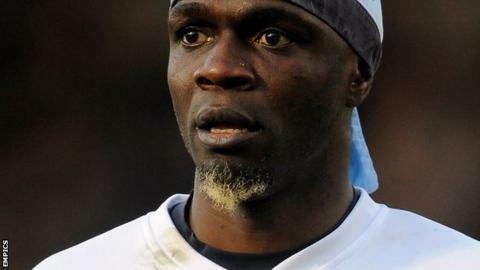 Defender Efe Sodje says he would walk off the field if he was subjected to racial abuse whilst playing for Bury. The 40-year-old revealed to BBC World Service that he had been a victim of racial abuse earlier in his career. "Let's say it happens on Saturday - I'm going to say the game should be stopped," said the former Nigeria international centre-back. "Whoever shouts it out will be picked out. I will make sure that person would be pointed out and shamed." And veteran Sodje is confident he would not suffer any punishment from the authorities or from his club if he took that course of action. He continued: "The club will back it, especially our manager [Kevin Blackwell]. He's 100% behind that. "He's been really annoyed with it - the way things are going - and he said he would back whatever we are doing. We are not going to accept it as this club here." Sodje, who is with his 10th club and has played more than 500 games in English football, thinks recent controversies involving racism could have been easily avoided if stronger punishments had been in place. "It flared up massively with the John Terry case," added Sodje. "That's what and the way they never reacted to that case. "I don't feel let down [by the authorities] but they should have stepped it up and set an example from the top of the Football Association. If you take drugs and they catch you, you're banned. It's as simple as that."